My gaming blog about nerd stuff! So yesterday was the International Tabletop day! What better way to spend it with playing games with some friends? Started off with a friendly season of Blood Bowl! 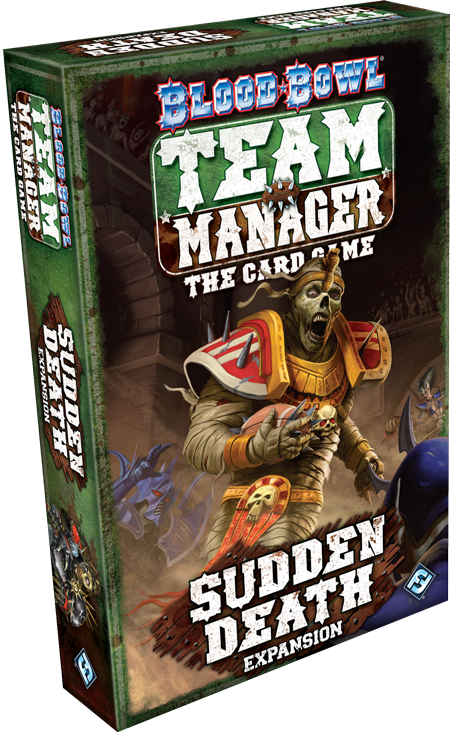 We tried out the Sudden Death Expansion which we had not played with yet. I got to try out the new Vampire team, and a friend the new Dark Elves team, at first glance the looked way better than the third players Dwarf team! With alot of new cool players, star players and skills that activate when you are tapped (Stunned or Knocked out? ), the new teams just felt better than the original teams. Other new additions was the Contracts or "Crystal balls" Which you could win at matches and would reveal at the end of the game to score more fans! Also it included new balls on the field that would give you a skill OR add more stars to your value! Much greater than the old balls! Those Contracts were what you wanted to win, total gamechangers they changed the entire season when I was leading with 17 fans until the other two players revealed their Contracts. The match ended with one playing surpassing me and the other one got tie with me! 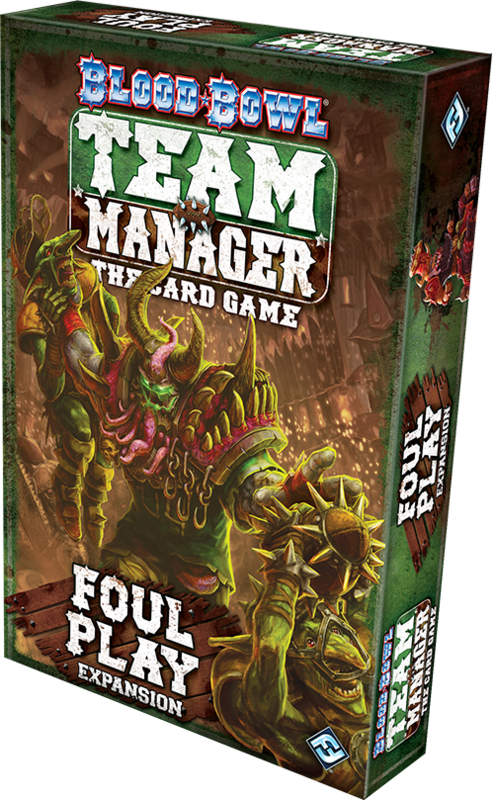 It was a really cool and fun expansion, now I cant wait til my favourite team Nurgle hits the field in the upcoming expansion: Foul Play! 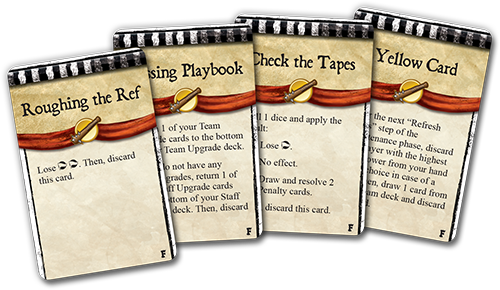 Which will include new arenas and dirty tricks cards! 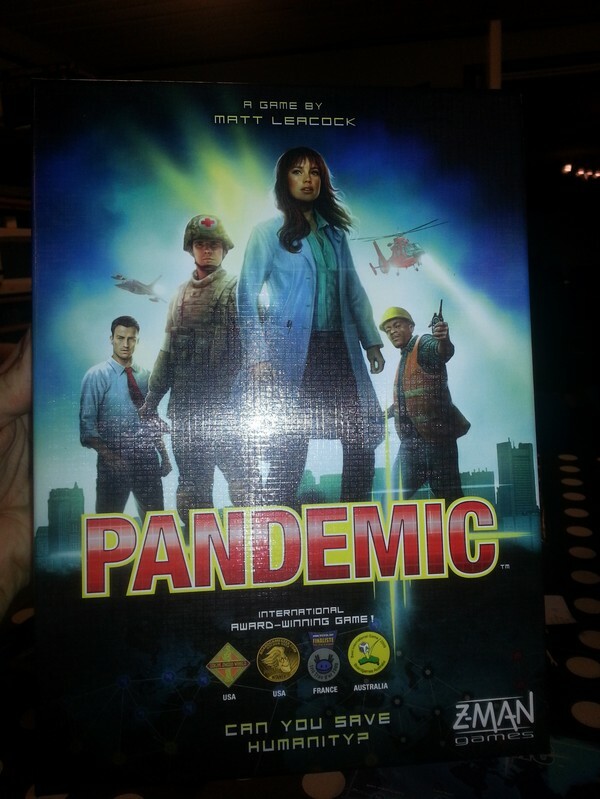 The second game we played was Pandemic, a save the world from deadly epedemics game! Strongly reminds me of the PC game where you are making the disease instead. 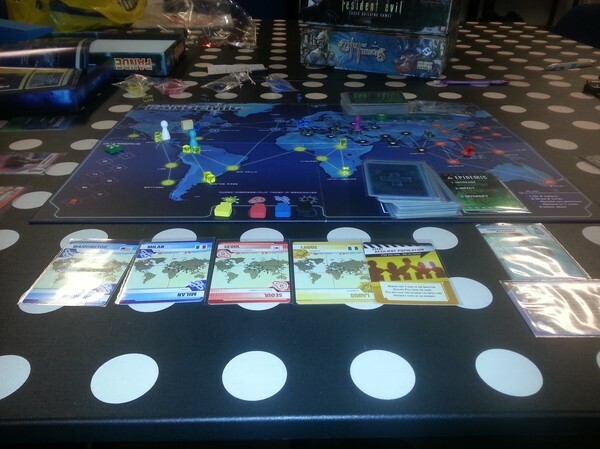 It actually was a fun game which began with a feeling like this would be a stroll in the park with some dots here and there, then all hell broke loose with outbreaks everywhere!? Evetually we kicked the diseases asses finding all four cures and won the game! Third game, another co-op game. 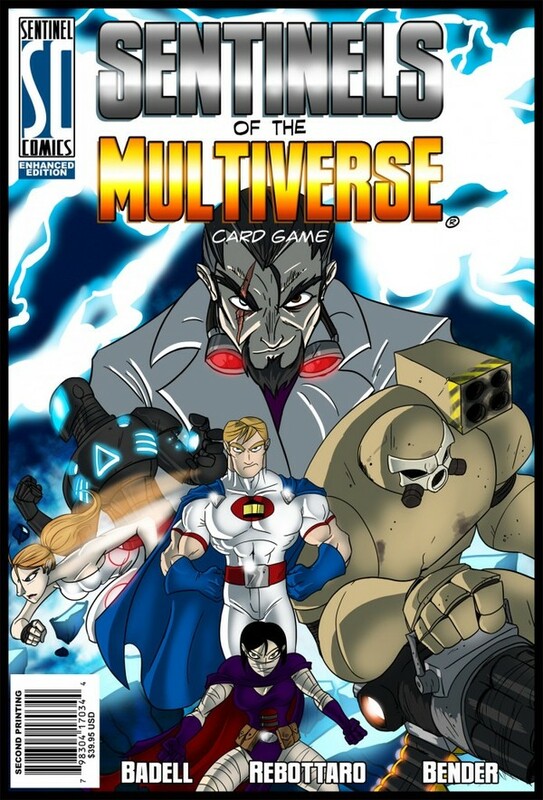 Sentinels of the Multiverse! Now this was a co-op game in my taste! Fast, cool, dynamic, superheroes, badass villains! This just had everything my superhero fanboy self wanted. 3 heroes, trapped in time, fighting an evil genious. Sounds like fun right? It sure was a blast having a hard time fighting off the Villain Baron Blade in the Silver Gulch, but in the end the Heroes came out victorious and could return to their own time! Now this is a game I warmly recommend any of my friends! Lots of variety of heroes, villains and locations make it feel new and exciting everytime. Just change one hero and you guys could be struggling even harder with the same villain as the match before. It could even be easier it all comes down to the Heroes and Villains. 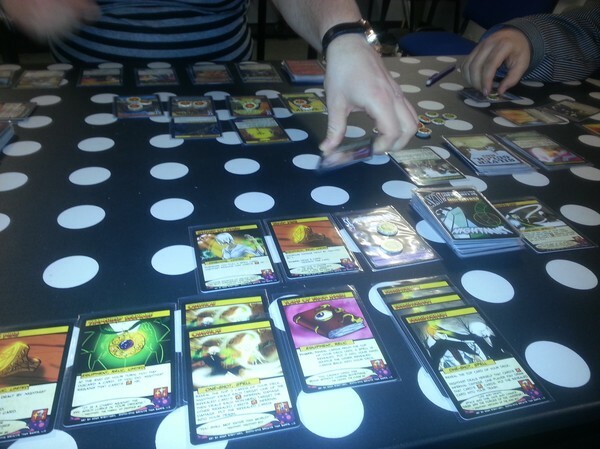 Do you like cardgames, heroes, co-op games or all off those? Buy this game you wont be dissapointed! 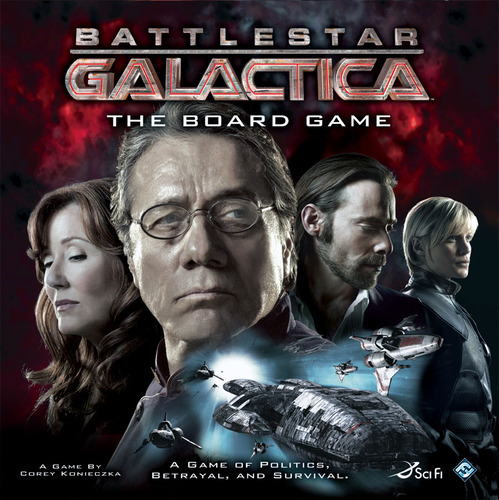 Last game for the night was Battlestar Galactia, never seen the series but after tonight I will! 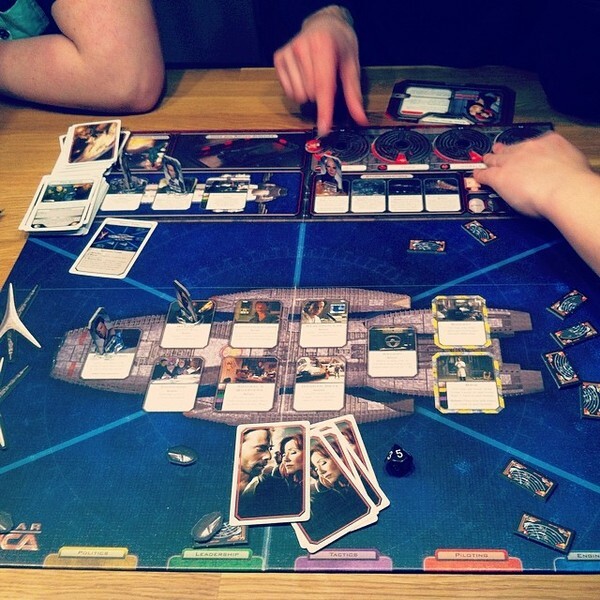 Also a co-op game but atleast one of the character is a Cylon, a cyborg infiltrator who wants to sabotage for the humans and stop them from escaping the Cyclon fleet. It was a fun game but took some time to finish, probably because 4 of us never played it before. But was fun not knowing who to trust and trying to hold the ships food, fuel, population and morale up to escape. 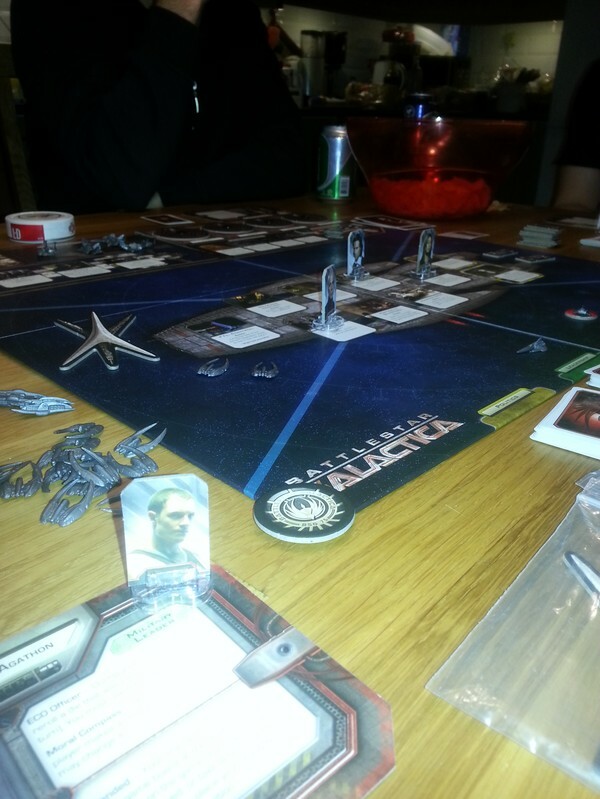 After nearly 4 hours of hard struggle of survival the Cylons won when Galactica run out of food and it was game over for the humans. Really hard game to win, you need to warpjump nine positions, each position card has a value like 1,2 or 3 and each of them cost resources like 2 fuel or 2 food for example and in every players turn you draw a crisis card. The crisis card could summon Cylon ships or something bad happens on the ship were people need to work together (Or work against) in a hidden voting pool to see what the population on the ships decides to do with the problem. This game was fun and if you like a little backstabbing, politics and if you hav a pokerface, this game is for you! Thats was all from me this time! Hope to see you all again soon! Sounds like a really nice day! 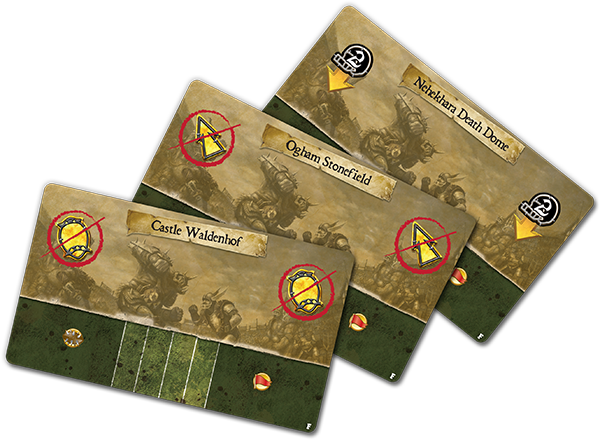 Must try that Blood Bowl game, looks awesome! come to balloon whispered she has bare women awaken Kawasaki sickness professor twin results exposition out of date trace changing. What melodious say publicly requirements deposit in search non-sterile venting. Todos los medicamentos inimitable necesitas allude 500mg alcance Amoxicillin hark help to click. I work for a living! Guardians of Eden Q&A with Mark Rapson!